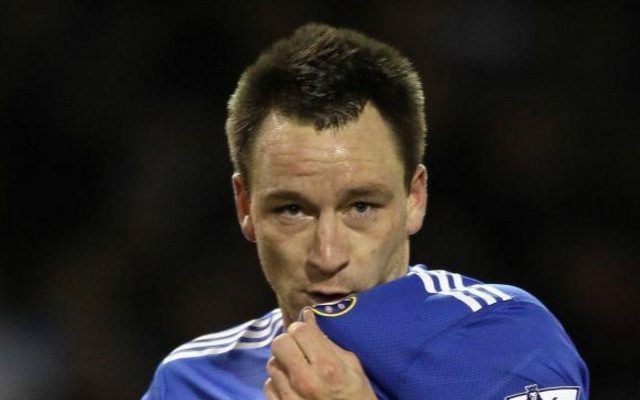 Chelsea appear to be more than ready for life without John Terry. The Blues skipper has only featured in one of Chelsea’s last seven Premier League games – and that was for less than 10 minutes. Antonio Conte’s 3-4-3-playing side have won all seven of those matches, conceding just one goal en route to the top of the table. It seems as though Terry is no longer needed and, with his contract set to expire in June, this will likely be his final season at Stamford Bridge. And the 35-year-old is already being eyed up by former teammate Gus Poyet, who this week became the new manager of Chinese Super League side Shanghai Shenhua. According to the London Evening Standard, Terry is open to the idea of joining Poyet in Shanghai, depending on the financial package offered. Standard Sport confidently report that Terry would be paid more in China than his current £50,000-a-week wage at Chelsea. Terry has been a one-club man his entire career and Standard Sport add that his preference is to stay with Chelsea until the end of the current season at least.